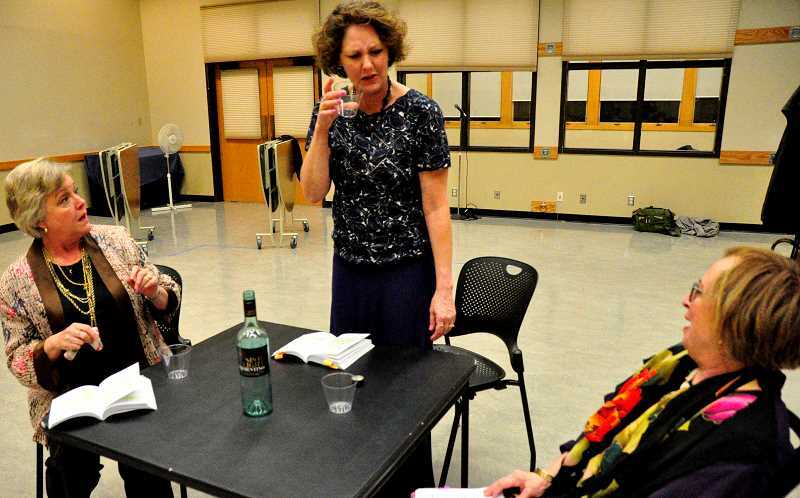 A day before WilsonvilleStage's first performance of "Blithe Spirit" in October, the lead actor was on his way to the final rehearsal when a car traveling at a high speed struck his vehicle. By happenstance, the lighting technician was an actor, and a good one at that, according to Artistic Director Terry Kester. So the technician filled in during performances at Charbonneau Country Club. To Kester, the experience encapsulated the spirit of WilsonvilleStage over the last few years. "Whatever problem we've ever had, and we've had every problem you can imagine, we've succeeded," Kester said. The local theatre company's most recent setback, though, proved too debilitating. Kester was recently diagnosed with Stage 2 stomach cancer, has begun chemotherapy and doctors have recommended that his stomach be removed. Kester serves on the organization's board of directors and has directed the majority of its plays over the last few years. 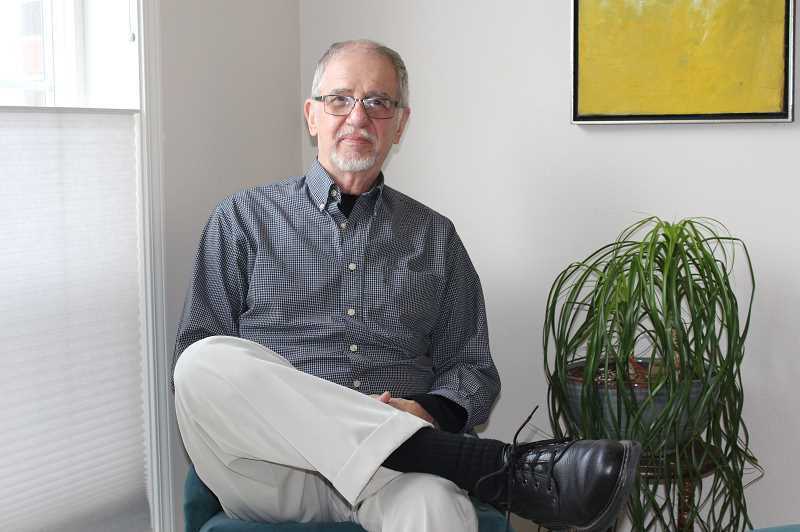 "I was shocked at the cancer diagnosis," WilsonvilleStage President Dave Niklas said. "There are two distinct driving factors in the theatre company and he was the artistic driving factor for us. His (Kester's) experience and love of theatre was a major driver of WilsonvilleStage in the last 2-4 years." To plan for Kester's absence and to gain a more solid footing as an organization, WilsonvilleStage is taking the winter season off and is planning to perform again this spring. "We haven't spent enough time cultivating contacts in the community and getting enough people involved as friends, if you will," Niklas said. "We decided it was an opportunity for us to refocus on building the structure within the community and gain a broader membership base and go forward from there." Since WilsonvilleStage was introduced in 2015, Kester said he and other members have struggled mightily to find enough people to join the group's board of directors, perform technical work like lighting and design, write grants and attract enough business sponsors. In turn, key members like Kester have taken on administrative and artistic roles simultaneously. "If we don't have more board members and if we don't have more people giving us money it's almost impossible to keep going," Kester said. "We get good attendance; we get good vocal support; their (audience members) reactions and reports have been good. What we don't have is a community that is constantly, regularly supporting us." Kester said the exception to this has been the Charbonneau community, Charbonneau Country Club and particularly Club Event Manager Kim Hosford. WilsonvilleStage has performed there since 2015 as many as three times per season and about 60-100 Charbonneau residents attend each show, Hosford said. "If it weren't for Charbonneau we wouldn't be alive," Kester said. "They are our saints." "Wilsonville Stage is very professional: not hokey or amateurish. They've always been professional and do an excellent job," Hosford said. "They look to the community to host performances and I have been very happy to (allow them to) do so when we have room in our clubhouse. Our Charbonneau residents appreciate good theatre and always come out to support them." Niklas said the organization is working on grant proposals, attempting to contact the "powers that be" in the community to garner support and board membership, and is looking into performing at the Wilsonville Public Library in the future. Niklas also said WilsonvilleStage is currently in the process of searching for directors and actors for a small 2-4 actor comedy it is producing this spring. "I look forward to seeing what they come up with," Hosford said. "Whatever it is I'm sure it's going to be good and I wish Terry all the best." For more information about WilsonvilleStage, visit http://www.wilsonvillestage.org/.